Choosing a new countertop for your kitchen or bathroom can be daunting. You have to factor in durability, cost of the material plus installation, as well as how it will harmonize with your home’s decor. At Consumer Reports, we stained, sliced, scratched, scorched, and nicked 14 different countertop materials. Our tests revealed strengths and weaknesses between materials, but not so much between manufacturers. For that reason, our countertop Ratings focus on four criteria: Stains, abrasions, cutting (slicing and chopping), and tolerances to heat and impact. It’s all about counterbalance: To find out the pros and cons of the countertops you’re considering, especially since materials can be comparable in price, be sure to keep this guide handy. You have more countertop choices than ever when it comes to materials, colors, and patterns. Some materials such as concrete, granite, limestone, marble, and even stainless steel are migrating from the kitchen to the bathroom. Just remember, bathroom counters see less wear and tear than kitchen counters, but you should still consider materials that are more likely to resist stains and chips. Small samples make it hard to visualize what the material will look like in your kitchen. It’s fine to play with online design tools, but look at the materials up close and take home large samples, even if you have to pay for them. If you’re considering stone, visit the stone yard: Color and veining can vary widely even within a slab, so when you find a slab you love, reserve it. Whatever countertop material you’re considering ask about the warranty. A top-mounted sink can be used with any countertop material and is dropped in after the counter is installed. An under-mounted sink is placed under the countertop and works best with waterproof countertop materials such as concrete, solid surfacing, stainless steel, stone, or quartz. Some materials, such as solid surfacing and stainless, can be used for both the sink and counter, creating a seamless look. Look for sales and consider mixing materials, using the more expensive material on prominent areas such as an island and a less expensive material on the perimeter. Buying remnants are a possibility for smaller areas, such as an island, pastry slab, or bathroom counter, and you could mix and match remnants for bigger areas. Beveled and bull-nosed edges add style, but may boost cost. Rounded edges are safer than squared edges, and may not cost extra. Have the fabricator take final measurements, making accuracy his responsibility. Insist that the estimate and contract specify the material’s thickness and finish, and fees for cutouts for the sink, faucet, and cooktop, along with edge treatment, backsplash, and removal of old counters. 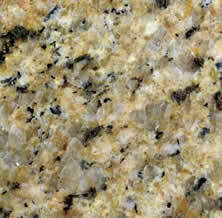 Granite has long reigned as the top countertop choice but, as chameleons go, quartz is impressive. The man-made stone offers an increasingly realistic look mimicking materials such as marble, granite, concrete, and is easier to maintain than those materials. Here are the countertop materials to consider. 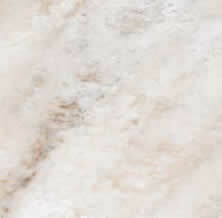 Also known as engineered stone, quartz is a blend of stone chips, resins, and pigments and is ideal for areas that get plenty of use and abuse. It comes in an array of vibrant colors and styles that mimic stone. Pros: Quartz survived a gauntlet of spills, hot pots, knives, and more with top scores, and it doesn’t have to be sealed for stain protection. It’s waterproof so it can be paired with an under-mounted sink. Cons: Some patterns can appear unnaturally uniform, although manufacturers are trying for a more random look closer to natural stone. Edges and corners can chip and only a pro can repair them. Rounded edges help. 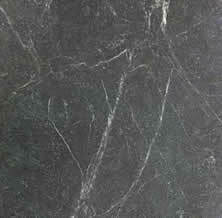 Each slab of this natural material is unique. It remains popular and is a good choice for heavily used areas and can be used with an under-mounted sink. Pros: Like quartz, granite survived our spills, hot pots, knives, and more with top scores. Cons: Edges and corners can chip and you’ll need a pro to repair them, and granite needs periodic sealing for stain protection. 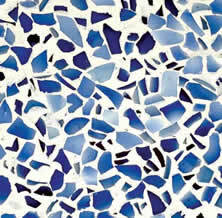 Take shards of recycled glass, turn them into a countertop and the result is an infusion of color and style. Pros: Best for a contemporary look when it’s made with large shards, or it can resemble solid surfacing when the glass is finely ground. Resistant to heat, cuts, and scratches. Cons: But chips and stains can be a problem. Unlike other recycled glass counters we tested, Cosentino’s Eco line developed a thin crack during our heat tests. Made of layers of paper or fabric impregnated with resin over composition wood, laminates come in a variety of patterns and colors. Best for areas of heavy use but minimal abuse. Laminates can show seams, but some have decorative edges to hide that. Another option: post-forming, a process using heat to form and bend laminate sheets, making them look seamless. Pros: Laminates excel at resisting stains, impact, and heat; they also withstand abrasive pads nicely. Inexpensive, easy to clean and a good choice for a tight budget. Cons: Most laminates have a colored top layer over a dark core, which shows at the edges.  Water can seep through seams or between the countertop and backsplash, weakening the material. Laminate is easily scratched and nicked and can’t be repaired. Textured finishes are better than flat finishes at hiding imperfections. 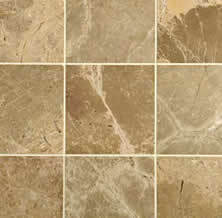 Ceramic tile comes in a wide selection of colors and patterns. It mixes nicely with other materials and works well on a backsplash or island top. Pros: Tile is inexpensive and relatively easy to install. It offers excellent heat resistance, so it’s a good choice around stoves. Buying a few extra tiles allows you to repair localized damage easily, one tile at a time. Cons: The grout is likely to stain even when it’s sealed although darker grout can help, and tile edges and corners can chip. This is a new countertop category and we tested Dekton. It’s a combination of quartz, porcelain, and glass, according to the manufacturer. 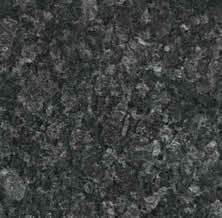 Pros: Dekton resisted damage from heat, stains, chopping and cutting and was very good at resisting abrasion. Cons: In our impact tests pieces of the edges chipped off and Dekton cracked into two pieces on samples that were 2 centimeters thick, the manufacturer’s-recommended thickness. These tests simulate what could happen if a heavy pot fell from a shelf or pot rack up to 2 feet above the counter. Polyester or acrylic resins combined with mineral fillers, this material imitates concrete, marble, and other types of stone, as well as quartz (an imitation of an imitation). Solid surfacing can be used for counters, sink, and backsplash, creating a seamless look. Pros: Resistance to heat and impact are pluses, and scratches and small nicks can be buffed out and repaired. The material is waterproof, so it’s a good choice for an under-mounted sink. Cons: Solid surfacing scratches and cuts easily. It’s beautiful and not as common as granite. Pros: Best for adding the beauty of stone to a low-traffic kitchen. It withstands heat very well and small scratches can be repaired. Slabs vary, visit a stone yard and pick the piece you love. Cons: It’s easily sliced, scratched, and nicked. Stain resistance is so-so and it needs to be periodically finished with mineral oil. Concrete countertops can provide a unique look as this material is typically custom-formed by local fabricators. That said, quality can vary. 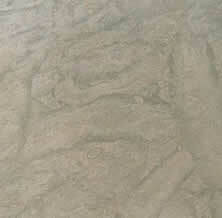 Pros: Concrete can be tinted and textured and can include stone chips. Cons: It chips and scratches easily and can develop hairline cracks. Topical sealers can protect against stains but not heat; penetrating sealers can handle heat, but not stains. This material allows you integrate countertops in a kitchen with stainless appliances for a sleek, commercial kitchen look. Stainless can be welded, ground, and buffed to remove seams. Pros: Resistance to heat and stains is a plus. Cons: Stainless steel dents and scratches easily and shows fingerprints. Drain cleaners and hard-water deposit removers can discolor steel. These countertops add warmth to any kitchen. Maple is common, but you’ll also see other woods, including teak. Pros: This material is useful for food preparation such as chopping and slicing. It’s relatively easy to install and repair. Cons: Damage from heat, cuts, scrapes, and impacts make for high maintenance. Must be treated regularly with mineral oil or beeswax. 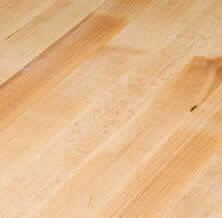 Varnishing provides stain-resistance, but no other protection. An oil finish was better at resisting heat, but stains spread and were impossible to remove. Fluctuations in humidity affect wood, making butcher block a poor choice for over a dishwasher or around a sink. 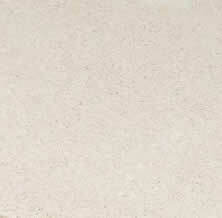 Limestone provides a stone look without heavy veining. It’s attractive but impractical, so consider it for low-traffic areas. Pros: Limestone resists heat well. Cons: Scratches and dings from our dropped 5-pound weight marred the surface of this soft, porous stone, and even a high-quality sealer didn’t protect against stains. Eleven of the 20 substances we applied left stains still visible after they were left on the surface for just 24 hours. 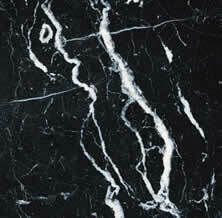 Beautiful and classic, marble has been used in European kitchens for ages. To some, marble takes on a patina, but others will see it as marred. Pros: Small nicks and scratches can be polished out. Cons: Marble chips and scratches easily. Must be sealed periodically to protect from staining. Most stains that marred unsealed marble wiped away with water on sealed samples, but hard-water deposit removers left a permanent mark, even on sealed stone. While bamboo may be eco-friendly, it isn’t user-friendly. Pros: Best for show rather than daily use. It’s available in several styles, including a parquet pattern. Cons: Easily stained, scorched, sliced, and nicked. 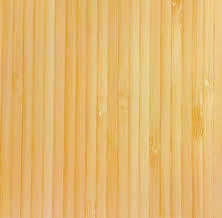 Ask if you can use near a sink because moisture can warp it, and note that bamboo may darken over time.